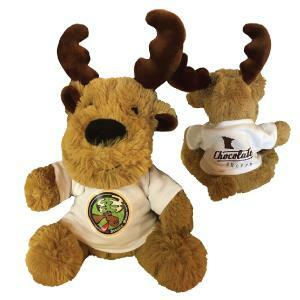 Soft and fluffy stuffed moose. Sits around 9” tall. Printed little t-shirt front and back.